We at Franklinville Presbyterian Church are a welcoming, inclusive, and ecumenical congregation. Small in number in a small church building. Over the years, since the congregation was founded in 1838, the membership has never been out of double digits. So, everyone knows everybody by first name. We cooperate and collaborate, enjoy everyone’s company, and care about and encourage each other. You will be warmly welcomed and encouraged to join in the life of Franklinville Presbyterian Church – we feel like one extended family, no cliques. Most visitors say they felt right at home the first time they came to see us. We are casual about dress. 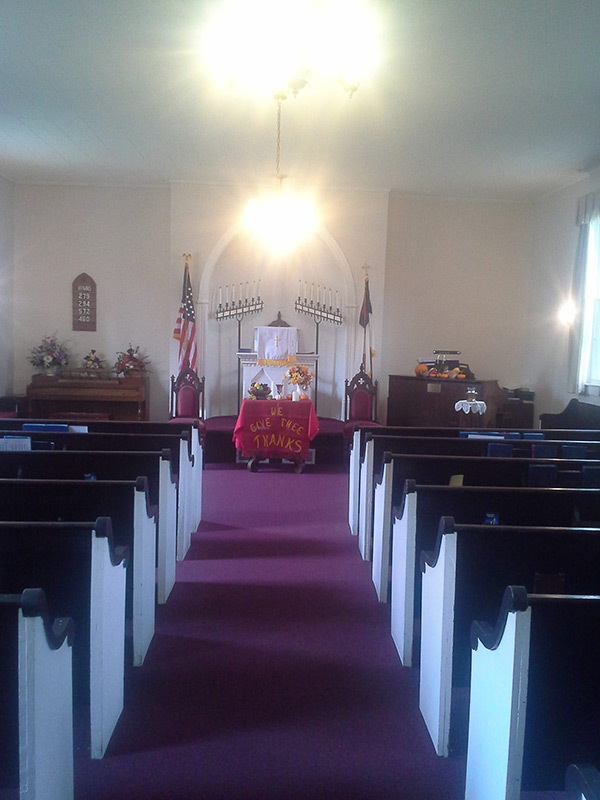 Franklinville Presbyterian Church welcome all to join our congregation simply by coming back. There are no requirements, religious, financial, or otherwise. We do not ask members to tithe or pledge contributions. Many of our members do eventually join the Presbyterian Church (USA) but that is not required. Those who do decide to join the PC(USA) are eligible to hold office and entitled to vote at the annual meeting.That is the only difference. We welcome as members of our congregation people who are members of PC(USA), members of other Christian churches, and folks who are not members of any church. There are many faith backgrounds represented in our members and clergy. Franklinville Presbyterian Church collaborate with all the churches in our community in ecumenical activities including a Good Friday Cross Walk from our church to the Methodist Church and ending at the Roman Catholic Church, a food pantry hosted at the Methodist Church, and a community outdoor Christmas tree lighting at the Episcopal Church.